These diabetic-friendly chicken parmesan muffins are a nice change from the normal weeknight supper and a hit with the kids. They are full of flavor, easy to prepare, and make perfect individual portions. Serve the chicken parmesan muffins with a salad or vegetable such as cauliflower tots for a well-balanced and complete meal. Mix all ingredients into a large bowl, except mozzarella and marinara, until well blended. Fill each muffin cup about 1/3 full, then place a cube of mozzarella on top of each. Divide the remaining chicken mixture into each muffin cup on top of the cube of mozzarella. Top each muffin with marinara or pasta sauce and serve. 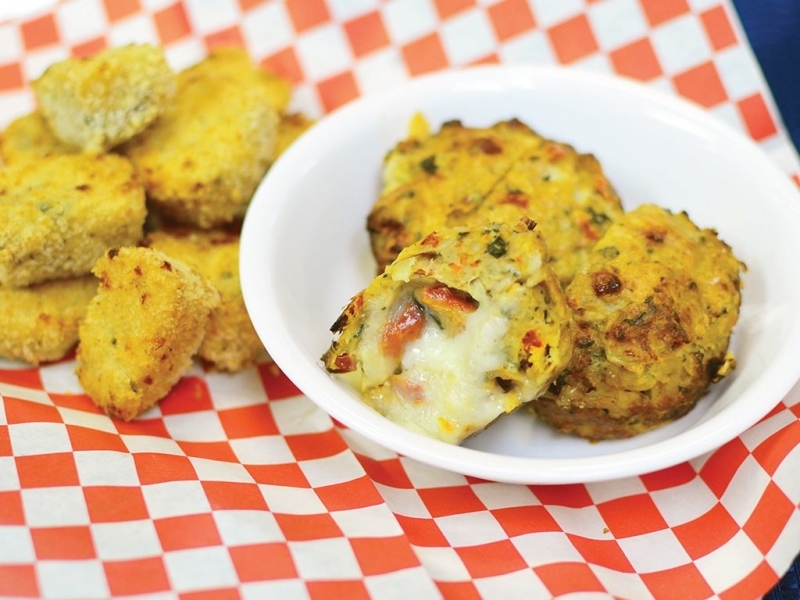 The muffins can also be topped with additional cheese and fresh basil or oregano.